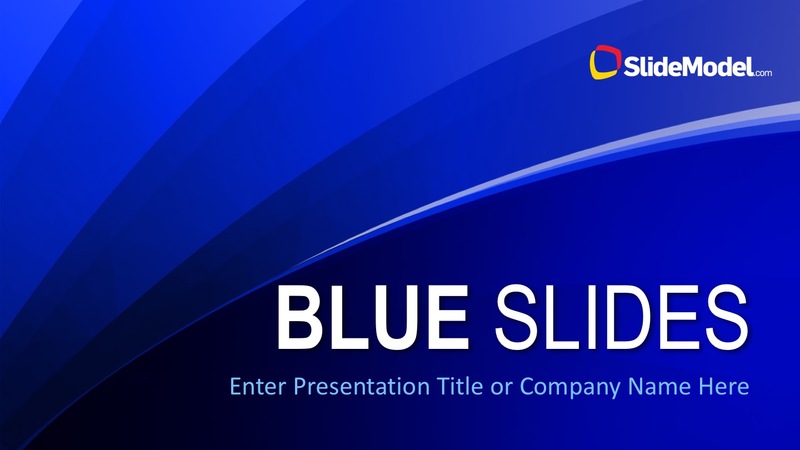 The Blue Slides PowerPoint Template is a PowerPoint slide deck containing a blue background theme. 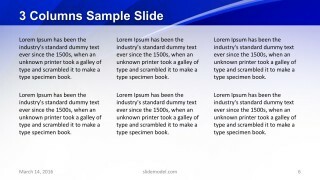 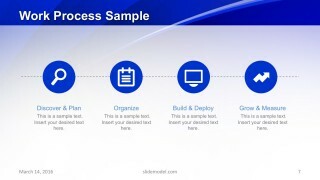 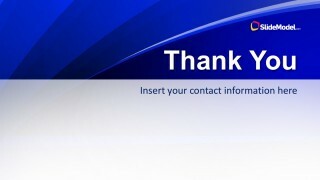 It is a set of 14 pre-designed slides for business presentations. 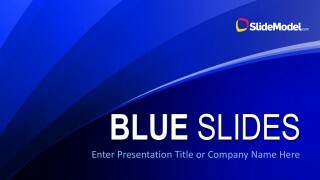 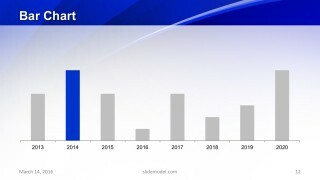 Many businesses use a blue theme for company’s portfolio presentations. 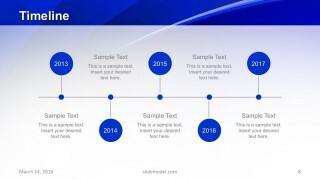 More often, the advanced engineering and information technology companies use blue theme. 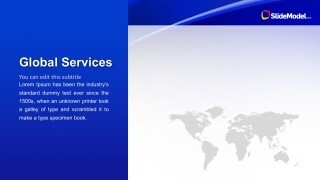 Because this blue color depicts electricity concepts, hence, present any product or service which runs on electricity. 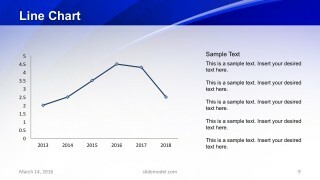 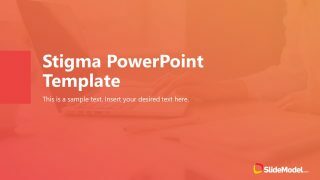 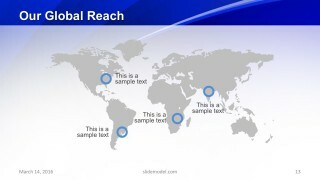 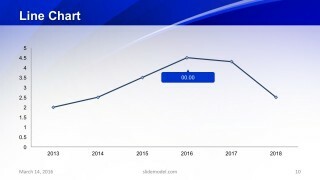 This company presentation template has background pattern showing blue waves. 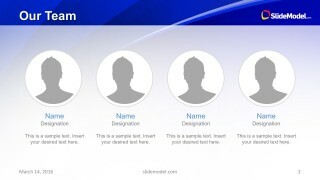 It is a high-resolution background picture; therefore, customization features are limited in picture tool. 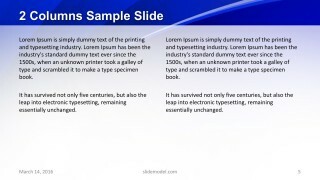 Such as, adding layer of transparency, correction, picture style, borders etc. 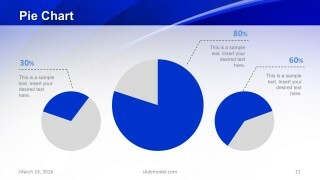 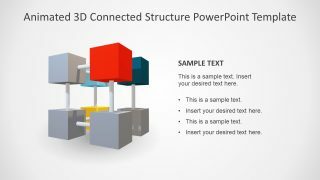 The PowerPoint template of blue theme is an effective visual presentation to deliver professional knowledge. 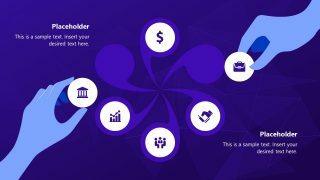 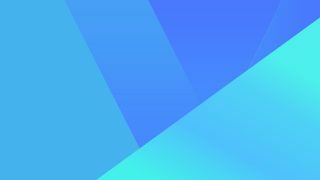 The pattern of blue background could assist users to explain an overall idea and vision of company. 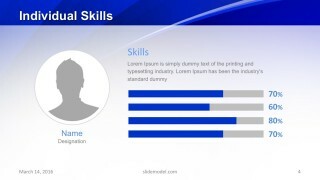 Further it can help establish a brand image by adding success stories, progress reports, vision, mission, and values.